A few years ago, there was this guy at Tamworth who was causing a bit of a buzz with both fans and fellow musos alike. Everybody was talking about this bloke who could play a guitar in a pretty speccy way and who had a voice that would take you back to some of the best of the trad. country guys of the 70’s and 90’s. He appeared with some elite country boys and gals on the stage and then all of a sudden, he was at another gig and then another one and then another one, til you ended up seeing him at what seemed like 90 percent of Tamworth gigs. The guy, was Anthony Taylor. I have heard some of the biggest names in the Australian Country Music scene sing his praises. I have watched as some of the biggest names have just shaken their heads on stage and said things like, ‘How am I going to follow that?’. If you look at the credits on this album, you will see some of those names that I am talking about. They helped put this album together and some of them are also listed in the people who contributed. I always get excited when I hear my heroes talk about an artist in this way and I am even more excited when I hear the artist and don’t get disappointed. Anthony would not be out of place should Kris and Willie decide to put the Highwaymen together again with some new additions. He would not have been out of place with the best of American Country Music in the 90’s with the likes of Randy Travis, Travis Tritt and Garth, George, Alan, Vince, Collin Raye and co. He would not have been out of place with some of the best of the 70’s like Don Williams, Kenny Rogers, Tom T Hall and others. You will notice that I mention Americans here, but that is what I think of when I hear his style, not his sound. Anthony was probably tempted to do an album of covers, because we all know that on stage, he can do them so well. I for one, am glad that he didn’t go that way. The covers that he has selected on this album are probably not as well known as others by those artists. The beautiful Candle for a Cowboy penned by Darrell Scott and sung by Tim McGraw and Travis Tritt’s Still in Love With You are perfect choices. If these Old Boots can talk, written by Luke Austen (whom he shares a stage with each Tamworth at the Legends Long Lunch) and young Jake Sinclair is a very country collaboration. Lane Turner’s Outside Looking In is a great start to the album and Wynn Varble’s Good Ol’ Boys and the title track Music Man. I think Peta and Jayson have written the best songs for Anthony though, they really did match up the singer and the song. Peta’s solo writing effort – Pastor’s Daughter is a particular favourite and I really love I’ll Love her Long by Jayson and Peta – which is probably my favourite song on the album. We waited a long time for this album, but I knew that it would be worth the wait. Good things are always worth waiting for, great things are even better for the wait. The musicians on this album are top class. Simon Johnson did a wonderful job producing it as well. This album is top shelf. Give your ears a good workout with this one. The whole neighbourhood is hearing mine. No complaints yet! Australian Country Music wouldn’t be Australian Country Music without Stan Coster. Well that is my opinion, and I am not alone in that thinking. I firmly believe that as great as Slim Dusty was, he wouldn’t have been the star that he was and the legend that he is without Stan Coster songs (and Joy’s and Gordon’s and others). Slim would have been the first to agree with that, I think. 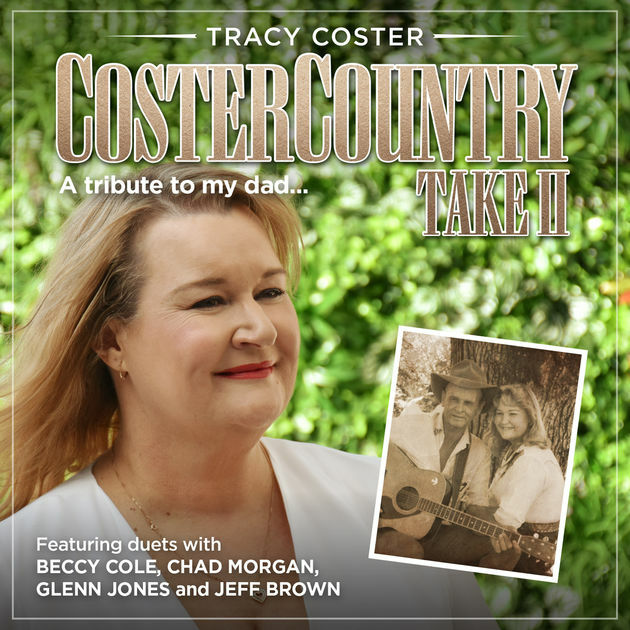 Tracy Coster is a singer/songwriter in her own right. She is dedicated, however, to preserving and keeping alive her Dad’s music. My Dad has always been a fan of traditional country music and bush ballads and I have developed an appreciation for it. These songs are not only an important part of Australian Country Music History, they are an important part of Australian History. These songs are stories of our country, with all of its bumps and bruises and high roads and low roads. We have a new wave of bush ballads and heritage songs coming through and it is largely thanks to blokes like Stan. There are a lot of young artists coming through, travelling the country side like the old Balladeers used to and writing new songs about old and new Australia. A new understanding of our true history and the battles that we have faced as Aussies over the years has also contributed to the new wave coming through. It has almost become trendy to write these kinds of songs now and they can thank Stan and co. for starting that trend in the first place. Tracy’s delivery of these songs is a labour of love. You can tell with every song sung that her heart is in it. I can imagine that a lot of blood, sweat and tears went into these songs too. Of course, I knew Three Rivers Hotel and Cunnamulla Fella and a few others sounded familiar but a lot of these songs are new to me, and I think that a lot of us from the last few generations will hear these songs in a new way and appreciate the lyrics and the stories behind them. There is a bit of every thing here, with emotions changing with every song. There is humour with Richard Head (with Chad Morgan) (I actually went to school with a guy called Richard Head in Tamworth!) and other songs which tell sad stories and songs of everyday life. Jeff Brown, Jayne Coster and Glenn Jones join Tracy too. Y’all won’t be surprised to hear that the duet with Beccy Cole, Freedom on the Road is one of my favourites. It has some very subtle Beccy touches that her fans will get before some others do. Tracy and Beccy have quite a bit in common….you may not think so, but they do. It is a beaut song and a great collaboration. I love How Could You Cause Me Such Pain and I’ll say no more. They are probably my two favourites. When You’re Short of a Quid is the quintessential Aussie song. Really, Vegemite and meat pies and kangaroos have nothing on this effort. I have always liked Tracy’s ability to adapt to different styles. Beccy can do that too. Not many people can, it is a gift in itself. This is a beaut album for all generations of Australians. You will be able to identify with the characters, the land around you and light and shade of it all. I will have to go back and get Volume 1 now! A fair dinkum bottler. As always, you have done Stan proud. Number 6 and last review for the day and by no means least! I met Tara (and her Mum!) a few years ago at Amber Lawrence’s charity walk for Heart Disease at Maroubra. The first thing that I noticed was her sparkly guitar. I had only seen one a bit like it before and that was Melinda Schneider’s. I thought that was a good sign. Also, Amber has a good ear for support acts and helping young ones out. All good signs. Tara is one of the hardest working people in country music. She is still working her way through but I don’t know anybody else who would do a lot of the gigs that she does. She turns up at shopping centres all over Sydney and some of the most obscure places. I have been looking forward to this EP. I have loved watching her grow and evolve. She is finding her own way, doing her own thing. I saw something in her that day at Maroubra, with her sparkly guitar and all of the kids rushing up to the stage. She has a similar appeal to Amber. She can attract the very young and oldies like me and everyone in between. I think that she was in danger of becoming too poppy for country at first but I saw it in her….she had something special and original there too. Tara has a beautiful voice, it could go to a few genres. I am glad that she stuck with us! This is a very well produced EP. I think that the world is Tara’s oyster. I like all five tracks for different reasons but I think that the duet with Josh Setterfield, Starting Over is my favourite. The only thing about EPs and EEPs is that they leave you wanting more…..which I guess is a good thing too. Tara shines as much as her guitar. Life holds many mysteries. 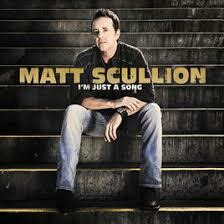 One of the biggest to me is why Matt Scullion isn’t a superstar. I like to think that it is because he just doesn’t want to be. He spends a lot of time in the USA these days, but splits his time between Australia and there. He has written lots of songs….mostly for other people. You would be surprised just how many and who for. As far as I am concerned, he is one of the best songwriters in this country, in any genre. He takes an everyday subject and works it with words into something that you hadn’t counted on. He is the kind of writer that makes you wonder….”Why didn’t I think of that! It is obvious!” Of course, it is only obvious after he points it out to you! He is a storyteller. Every song that he writes has parts to it like a short story. It is not just words and music for the sake of it. 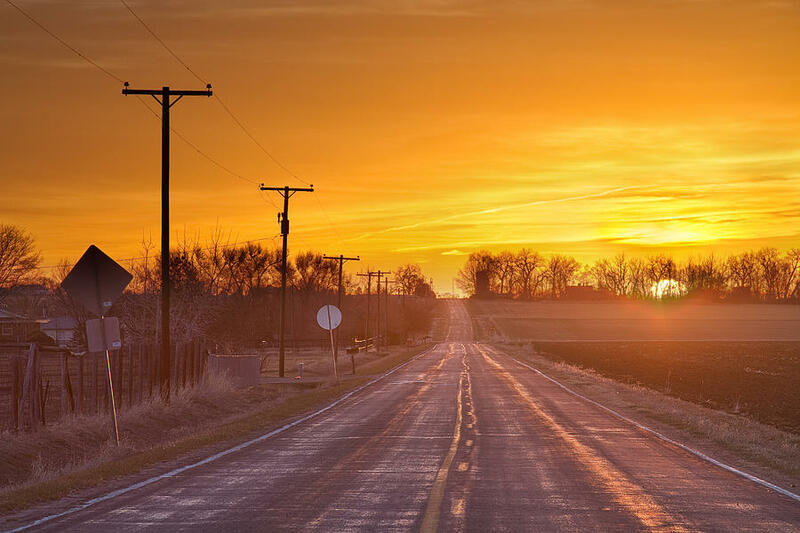 Everybody has driven by a cross on the side of the road, everybody has got themselves into scrapes and wondered how they are going to get out of it, everybody has done something after a few drinks that they have regretted. We have all had a great love, a broken heart, a change of heart – they are things that Matt deals with in his songs, but from several different angles and sometimes disguised with clever lyrics and mixed metaphors. One of the most relevant songs for music lovers would be In the Grooves. I am not sure who Matt was targeting with this song but essentially, it could have been about any of the many that we have lost in the music industry in the last few years. You could really apply it to anyone from Karl Broadie to Merle Haggard to Audrey Auld to David Bowie to Leonard Cohen, for that matter. No gender is mentioned, no name, no hint at lyrics from the person’s songs. To all that we have loved and lost, perhaps. Of course, I love the ballads best but there are some country rocking, country blues tracks too. Matt doesn’t release too many albums. They are rare, quality gems. As I mentioned earlier, he writes for and co-writes with others for their albums. As a singer, he is as strong as he is with what he writes. I just love listening to his lyrics. He does have a magic pen. I always enjoy his songwriting sessions and his cool, relaxed way of presenting his music at gigs. Some of these songs will make you cry, some will make you smile and some will just make you dance or groove along. They are all different, they all make you think a little and they all make you proud that as an Australian, you have this man amongst your fellow Aussies. The title is a little puzzle itself. Once you listen to the words, you will understand. 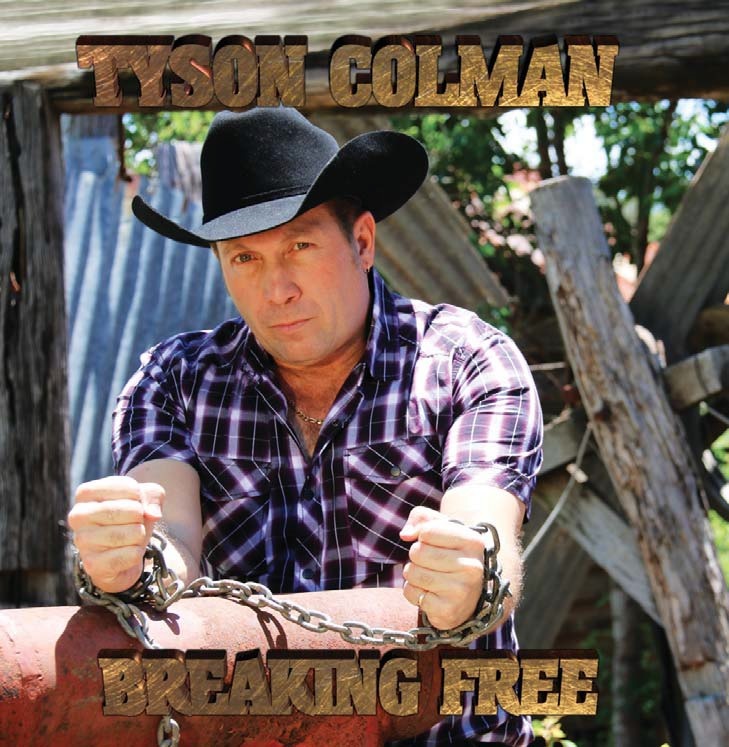 A few years ago, my sister from another mister and talented muso, Susan Lily recommended that I listen to this bloke called Tyson Colman. I reviewed his album and we have been FB friends ever since. Tyson has mixed this album up quite a bit. There are cajun influences, a bit of rockabilly, some sweet love songs and some trad country as well as a bit of an Elvis take. I like an album that offers surprises and this one certainly does. It’s a bit like that Gump line about the box of chocolates……It’s a fast album, I’m on my fourth play and it just goes pretty quickly. A couple of tracks have already had radio play but there are more potential singles to come. I love You Don’t Know Me (and that’s not the Elvis take….even though he sings a song by the same name). King of the Saddle is different again, with some of the lyrics so spot on that you feel like you are at a rodeo, right down to the stitching of the jeans. True Love Exists is probably my favourite, ……surprise, surprise (I’m a sucker for a ballad). The song with Michelle Walker is a beaut, adding a bit of fun and a need to tell the male character to pick up his rubbish and his clothes! It’s the kind of song that Beccy and Adam would probably sing. Rockabilly Friday Night makes you want to get up and dance, my coffee table nearly got a workout…..then I realised that I couldn’t afford a new one if I broke it. There are a lot of cool songs on here, She’s Top Shelf will be a shower song candidate, for sure. Bring back my heart is the Elvis style song….he hasn’t left the building yet. Tyson’s influences are pretty strong. The musicianship of this album is pretty polished and slick. It’s mainly good old country and it has been a labour of love. You can hear Tyson enjoying himself as he sings and plays each song. That joy will be contagious. It’s a fun album with a few sweet songs to add to the mix. Very playable. My impatience got the better of me and I bought the Itunes version so that I could listen to this album and one of my favourite artists before I received the physical copy. So, the credits and technical details are not as evident in this review as I would like them to be. We are all very proud of Kristy, who has been living in the U.S.A. for a while now with hubby, Travis List and her gorgeous little gal, Adelaide. This South Australian artist will always be an Aussie, she’s even making sure that the Americans get a taste of meat pies these days. Her success as a Bluegrass artist in America is going from strength to strength, especially with the influence of the wonderful Jerry Salley. I always look forward to a new release from Kristy. Travis and Kristy are currently in Tamworth strutting their stuff. On the release of one of her earlier albums, Kristy gave a free gig at The Pub in Tamworth. In my posts in the lead up to the gig – I said, are you crazy? Wondering why such an amazing artist was giving a free gig! When I met her that night, she said, ‘You’re the one who thinks I’m crazy!’. It was meant with love. It is no surprise that Kristy’s talents have spread across the ocean. Her music is definitely the traditional bluegrass sometimes pure country sound. Her vocals are getting stronger and better, though it is hard to improve on perfection. There aren’t many reviews out there at the moment, and the one that I found from overseas sounds like the guy swallowed a dictionary and I wasn’t sure whether he liked the album or not. If you want to be confused, read it! It will come as no surprise to you that one of my favourites is Sweet English Rose, not just for the Australian content, or the Celtic feel but it is just a beautiful song. I Still Pray was made famous in Australia a few years back by Kasey Chambers and Paul Kelly…..two other South Australians! South Australia is producing more and more talented country music performers and songwriters these days. It is becoming quite a boom state for the genre. The beauty of Bluegrass and Country Music in general, is that it can take you from the depths of despair to overwhelming joy and toe tapping fun stuff. Kristy takes you on that journey with consummate ease. I love the duet with Brandon Rickman, A Bed This Cold. What an awesome song and the vocals are perfection. From rollicking and rambling bluegrass to sweet refrains, our Kristy has done it again. She will always be our Kristy, no matter how big and famous she gets worldwide. I am very proud of this gal. We all should be. South to North Carolina: From the opening banjo riff and the Aussie references, Kristy had me hooked. A cross cultural experience! Cry Me A River: Not the famous, much covered classic, but a different kind of river. More country than bluegrass, highlights Kristy’s range. Just Me Leaving: Toe tapping from the start, a mellow ditty melody wise, lyric wise a bit more biting, as you would expect from the title. A Bed this Cold: Beautiful, sad duet with Brandon Rickman. Definitely one of my favourites on the album. Great lyrics. 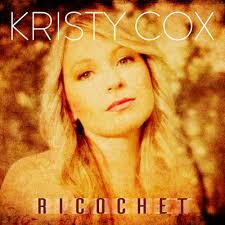 Ricochet: The single and title track. A good heart starter and one to dance around the living room to. Right where you left it: A lot of people will relate to these lyrics, from the simple lines to the more intricate ones. Another favourite for me. Love it. I can almost smell the smoke: Very hummable song, with a healthy dose of fiddles and banjos, mellow style. I could almost smell the smoke listening to it. Sweet English Rose: As previously mentioned, I love this one. it has all the things that I love in a song. It even has an O’Shea mentioned in it….that gives it an extra brownie point. Blame it on God – An awesome song, a twist on an idea and some cool lyrics. Yeah, it is a love song. Awwww. I still pray – A good way to end the album, with some help from some friends! Yes, as I mentioned before, it is the song made famous by Kasey and Paul a few years ago. Another gem from Kristy and Jerry. I’ll make sure that I have some Chiko Rolls on me next time that I see you, hon. Male winner of the Nathaniel O’Brien Rising Star award at the Kazzies’ in 2017, Tyson Lucas is the real deal. Bob Browne had a track on the community radio cd and played it for me last year and after it finished, I just said ‘Wow’. This young fella (he’s just finished school), is a younger version of a cross between Roo Arcus and Troy Cassar-Daley. Now, I hate drawing comparisons, as most artists have some wonderful unique qualities as well, as Tyson does, but it is hard not to think of these two, not only in style and talent but also in personality. This young fella has an old head on his shoulders. He is polite, thoughtful and very passionate about what he does. I think that those qualities are things that Troy and Roo have too. His songs are very reflective of his life, his family and his attitude. There is no mistaking this music for anything but pure country. From what I can tell, his family is very close and supportive and solid. That always helps. This E.P. is only the start of big things to come. Tyson is keeping the homefires burning with that pure country sound. It is hard to believe that Tyson is so young. He sings and writes with such a wonderful maturity. Three tracks off this E.P. have already been released as singles. Hopefully, this leads to a full album soon. 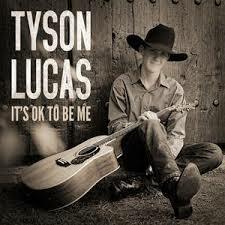 Tyson sings songs that he has written or that he can relate to, and he doesn’t sing songs that don’t fit his age or are outside his own realm. He wears the hat that fits him. Having said that, it is easy to relate to the lyrics and the songs are ones that you will be humming and that you will play over and over again. He’s a special young man with a big future. I have rarely been more emotional about writing a review about an album – or mini album/ EEP as I have about this one. It is appropriate to start this marathon lot of album reviews with this one, from a young artist who has endured a marathon of life changing events over the last few years. I am so very proud to review this EEP (extended, extended play). I first met Kate at Mildura Country Music Festival in 2016. I am 34 years older than Kate and I have had quite a life, but this young lady’s story and maturity – both musically and as a human being is quite extraordinary. She has been playing instruments since she was 8 and and she can play quite a few. Her influences are broad, as this EEP displays quite prominently. The beauty of Mildura is that you get to see your favourite artists more than once or twice, and in many different ways. My favourite gig with Kate was with Country Music Legend, Allan Caswell and The Rough Diamonds in a Songwriters session. Kate came across as a very humble young singer songwriter. Her gentle and sweet voice seemed to form almost a ying and yang relationship with the lyrics of her songs. It worked. The young Western Australian was under the watchful eye of Sir Allan that day and you could see that she met with his approval. Kate is a graduate of the Academy and she has a strong connection with Bush Balladeers but her songs are far reaching. Her journey that has included the Toyota Starmaker quest, singing with Travis Collins and Lee Kernaghan and others and being brave enough to follow her dream to head to Tamworth from Western Australia at such a young age has been a courageous and amazing adventure. 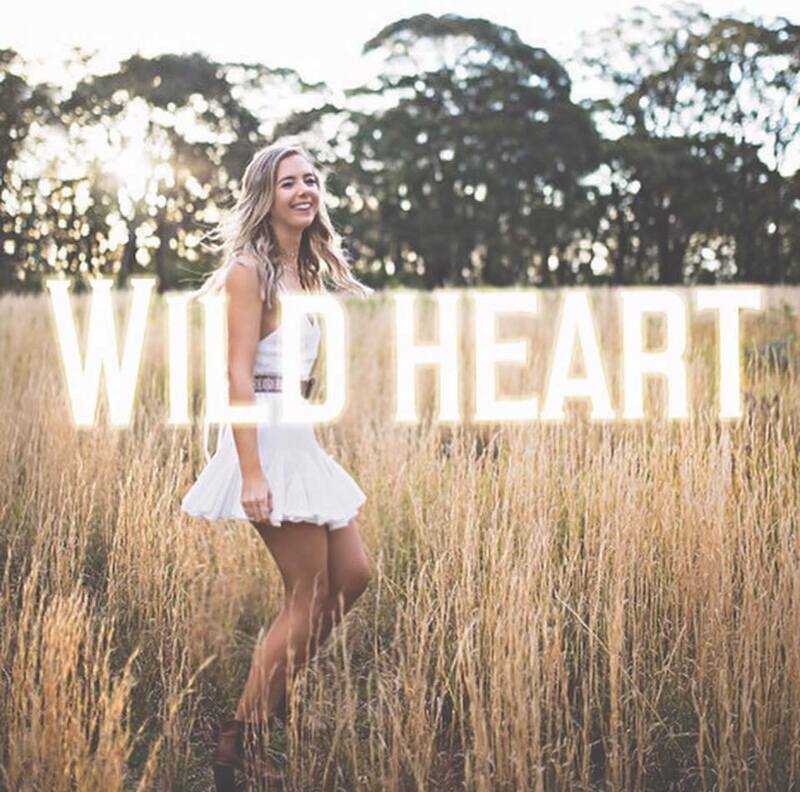 Kate admitted at Mildura that a lot of her songs are written after having her heart broken. Her biggest challenge was to come, with a back injury that almost left her paralysed. She was wheelchair confined for a long time, and in and out of hospitals after a series of misdiagnosis and eventual surgery. She had to make the big decision to go back to W.A. to recover with her family and put the big dream on hold. Kate is back in Tamworth this week with this new EEP. She will be surrounded by a group of Tamworth Country Music Artists and fans who believe in her and who want to spread the love and the word about this wonderful young woman and talented artist. With songs co-written with fellow W.A. musician, Jonny Taylor, Tamworth’s gem, Felicity Urquhart and featuring covers of Anne Murray’s Snowbird, Patsy’s Walking After Midnight and an extraordinary version of the Buddy Weston penned Slim Dusty song, Footsteps Coming Home, Kate shows her diversity and her own special style. Many of us on facebook and in Kate’s musical circle have watched and waited for this moment. It is a remarkable story and victory against many odds that would seem too massive for most folks to recover from. Emotionally and physically, Kate has been on quite a ride. Now she is ready for a different ride, as I am sure this EEP will re-launch her into a new era of success and good health. Ready For The Ride – Says it all, really. This song is sad and positive at the same time. It is appropriate to have this track as the first one….and the name of the EEP. Snowbird – A slightly more up tempo version of the Anne Murray classic. Most country music fans of my generation were heavily influenced by Anne and it is good to see the tradition carries on. My Whiskey Lullaby (co-written with Jonny Taylor) – This song about an alcoholic is not to be confused with the Krauss/Paisley Whiskey Lullaby! There are some neat guitar licks on here and a change of pace from some other songs on the EEP. Loneliness (co-write with Felicity) – This is such a beautiful, haunting song. It is probably my favourite on the EEP. Showcases Kate’s voice wonderfully and the gentle guitar work is spot on. Walking After Midnight – The Patsy Cline classic shows Kate’s traditional country influences and stylings. Kate does a beaut job. Piece by Piece – A fabulous song. Again, it shows Kate’s way of sounding uplifting about a subject that is kind of gloomy. It is an extraordinary blend. Footsteps Coming Home – The Buddy Weston penned Slim Dusty song, which I have to admit that I have never heard before, which is pretty amazing, since Slim is my Dad’s God and I have had Slim in my ears since I was little. It is a wonderful song and Kate does a fantastic job. 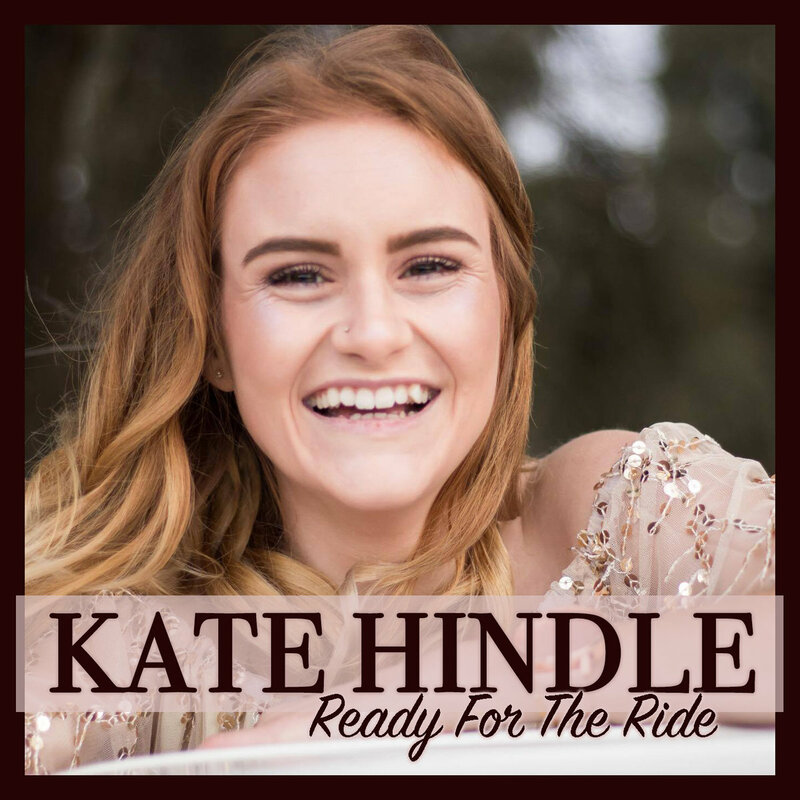 Kate Hindle is one of many fabulous young country music artists in this country who will lead us on to a very strong future in country music. The best songs, particularly in country music, come from life’s experiences. Kate has already had more than her share. I predict that she will go on to be one of our biggest stars. She has what it takes, she just needs the opportunities. Kate is also a great role model for anyone, not matter what age. Never give up on your dreams. 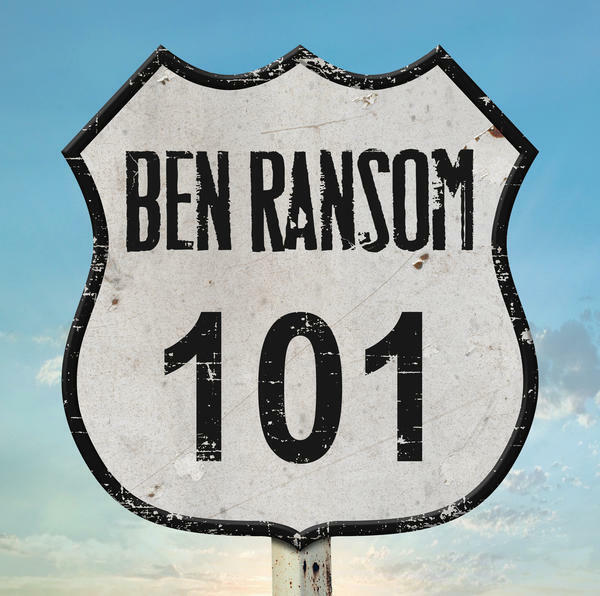 I have been a long time Ben Ransom fan. I think that he is one of the nicest blokes in Australian Country Music, and that is saying a lot, since there are very few who are not nice! He’s just a good guy. Of course, he is also a talented one. I have never met anyone who has a bad word about this fella. He could go in many different directions with his music. I think that one reason why he has played the Royal Easter Show so many times is that he can be so diverse and appeal to a wide audience. He also has a way about him which just makes him extremely loveable to all ages and people with different tastes. This album has been brewing for a while. Personally, there is a lot to be said for quality over quantity. Ben Ransom has the market cornered on this. This album has something for everybody. You’re the reason why – A cool, boppy and bright country rock song to start proceedings. Let’s Go Driving – Nominated for Shower Song of the Year at the Kazzies and a close second to Matt Henry’s “Garden of Needs’. Very catchy and a song that gets you happy and gets under your skin. No.1. on the Country Tracks for a while this last year. Beautiful World – A Kaz kind of track. Beautiful World is a beautiful song. Gentle and moving. Probably my favourite song on the album. Dry Town – Familiar story in Australia – sung to what seems an up tempo beat – perhaps to express anger, anxiety and a sense of emergency. Strangely offers hope through determination. Heartland – I heard Ben sing this at The Royal Easter Show in Sydney last year. It seemed an apt song for such an occasion, almost an anthem. I believe Sir Allan Caswell had a hand in it….not surprising. Same Song Different Day – Current single. If Jimmy Barnes and Drew McAlister had a son it would be Ben Ransom. Ha! I can hear and see why this is a single. Nice guitars and drums on this one. Nice clean up on the title! Young Years – The only cover on the album and what a great choice – could link it to my fave Ben song ‘Billy Cart Days’. Sharon O’Neill penned this song with her hubby for Dragon back in the day….my day – a classic song from my late teens. Sharon was one of my idols, still is. Ah, nostalgia! Be with you tonight – a song to sway to with a candle. speccy song from our Benny Boy. Yeah, I love my ballads. Rock This Town and Roll – (featuring Phil Emmanuel) – Talking of heroes! a bit of almost boogie woogie blues with the one and only Phil Emmanuel. I remember two amazing gigs with Phil. One with Tommy supporting ‘America’ in Sydney in the 80’s and and the other one at Tamworth Showground when he did a 3hour solo gig. Very cool stuff. Dog Day – A catchy song – probably a shower song in the offing, but I would have ended the album with the previous track and this could have been the penultimate track. Ben Ransom is a gem. Watch him shine. Lessons in good music, 101.